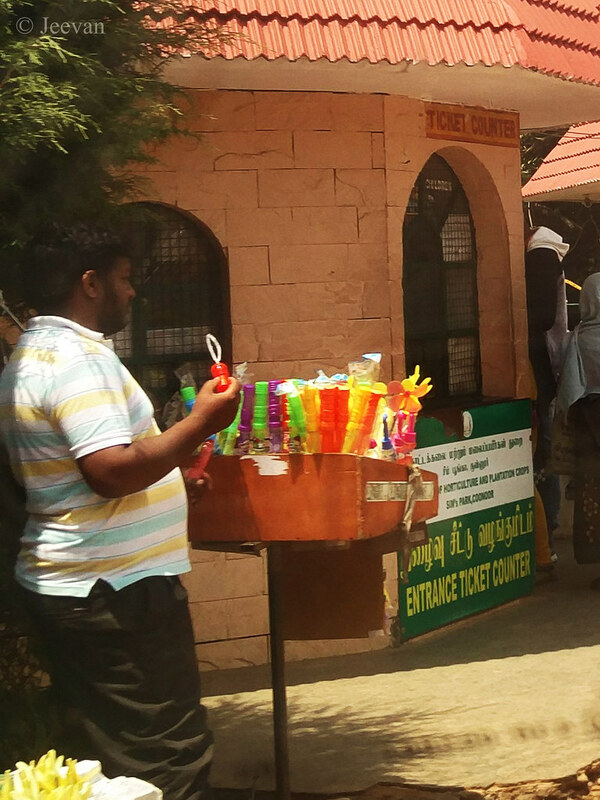 Man selling colourful little toys for kids in front of Sims Park, Coonoor. I guess what he’s having in had is bubble toy that used for blowing bubbles. I have been to Coonoor twice but unable to visit the Sims Park which has unique species of trees and plants that many native to this mountains aka Nilgiris. The park is created on a natural slope of mountain; with many steps leading down the park make it an inaccessible landscape for a wheelchair bound. But it’s a nice place for nature loving people alike. The colors do help for the toys to sell. The toys are definitely colorful. Hopefully some changes can be made in the park to make at least part of it accessible to people in wheelchairs. Wonder how your Mother is doing? Hope she is well!